Just want to add my thanks to segmentersfloattheboat too... we will be joining the ship at Durban and after an earlier post on this thread I was feeling quite low - wondering if we'd made the right decision, as we definitely would be very late to the party! I am now reassured by your wonderful detailed contribution to the thread. Many thanks. I said I would let you know how the WC was with segments. Must say segmentersfloattheboat's post was better than anything I could post. I would only add that the group seems livelier this time around and that may be the new travelers that come aboard or we are all just excited about seeing this part of our world. As usual Viking does everything they can to make it a wonderful journey. See you on the Sun in August. On another topic. In an earlier post someone mentioned they heard WCers got name tags. The only name tags anyone got on board were ones I made for those on the roll call that chose to be in the album. I am sorry if that made folks feel left out - the name tags were only sticky address labels (and having been in Florida heat awhile the glue wasn't very sticky). Oh I forgot to add the name tags were only used for the Meet & Mingles. So my DW tells me I should not be a “One Post Wonder”, so here goes with my second contribution. I am even going to try and post a few photos - that’ll show her! Thank you to The One who advised me how to post a photo! You know who you are! 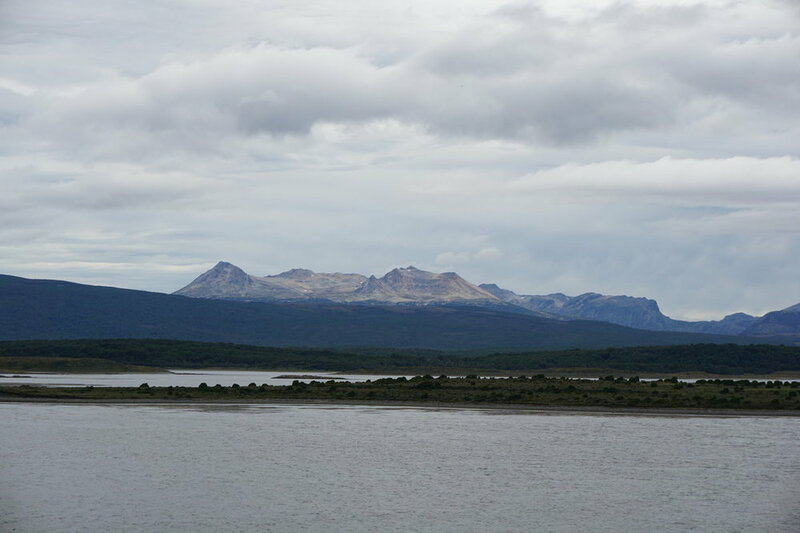 After our relaxing sea day, we arrived in Ushuaia around noon yesterday and yes, the sail in was spectacular. I was peeking out at 5am with herself purring gently in the background. Oh yes, I am sufficiently well trained to know that our DWs do not snore but purr gently - but of course with these very efficient auto opening curtains I awoke her ladyship and that was that as they say! It was worth it though as we both enjoyed the beauty, calm and still of that early morning sail in. We did see some fins and they may have been seals. 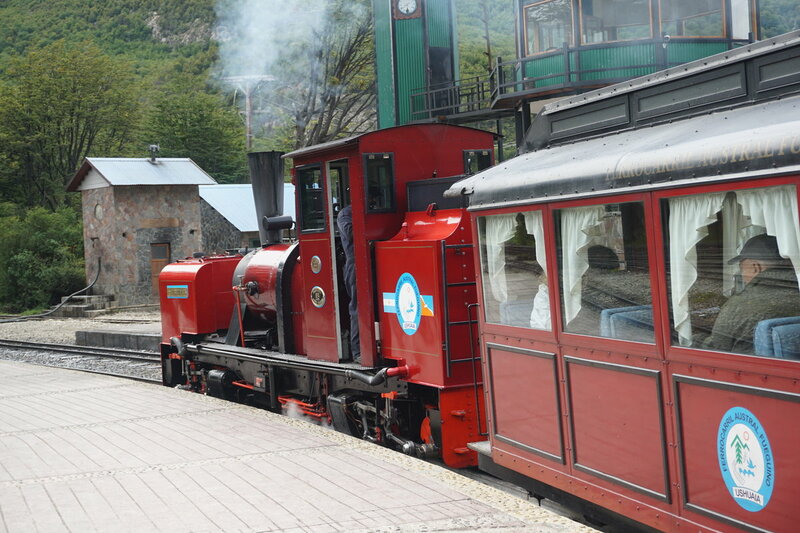 As we had an extra half day and overnight in Ushuaia, we arranged to do the Fin del Mundo train excursion this afternoon. The weather was overcast with the sun peeping out from time to time but it was the wind chill that got to most of us in the end. High summer indeed with the temperature around 9C at mid-day. 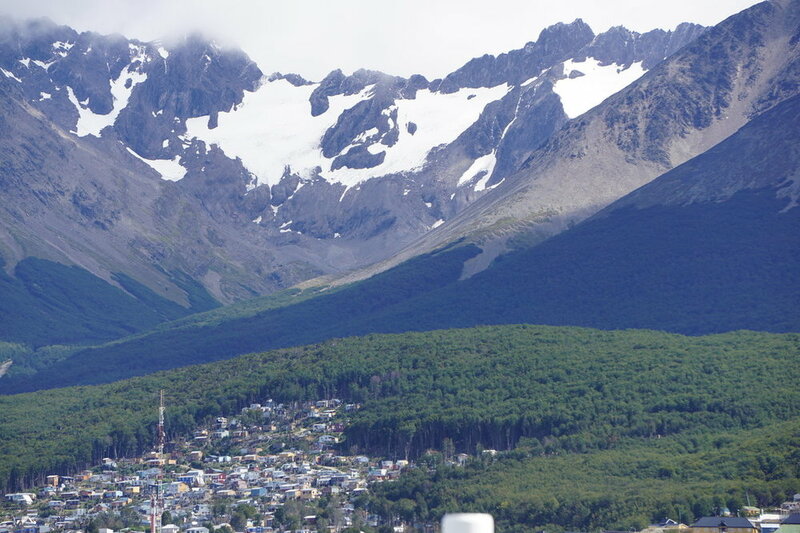 Ushuaia is the most southern city in the world and the district of Tierra Del Fuego has a population of around 160,000 with a working population of only 60,000. Apart from being a big cruise ship port - we were neighbours yesterday with the Azamara Pursuit (which left late last night) and another more serious looking antarctic exploration ship - they make electronic stuff here (phones, tablets, fridges, etc etc) and the people working here are paid 5 times more than their Buenos Aires counterparts. They also benefit from paying no income tax and have heavily subsidised gas for heating, cooking etc. Our guide said her last bill was about $10 for 3 months. They also benefit from free sports facilities and every year the government sponsor musical groups and entertainers to come and give the townspeople free concerts. Our guide yesterday was very excited that our ship was doing a world cruise, apparently we are only the second world cruise ship visiting Ushuaia in as many years. She asked where we were going on this worldly of voyages and someone who knew the whole itinerary off by heart rattled it off to much oohs and aahs from the guide. We found ourselves oohing and aahing along with her as we were within close eye contact and we smiled and nodded, like the nodding dogs some folk have on the parcel shelf in their cars, pretending for this moment in time to be part of the world cruise gang. But oh boy did it sound wonderful and her enthusiasm was delightful. Our train excursion gave us an insight into the prisoner heritage of this part of the world. 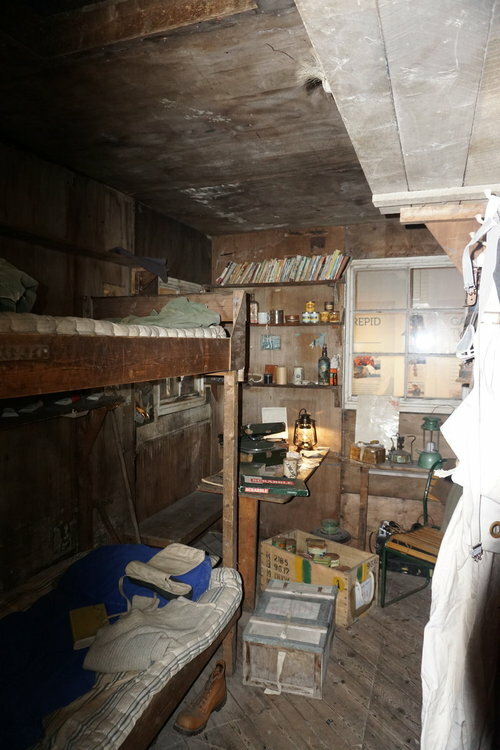 The train lines were built by the prisoners and the trains in turn were used to transport the wood, the never-ending supply of cut wood, which the prisoners cut every day, used for building houses, heating etc. We were told that we could tell from the height of the stumps when the trees had been cut down. The higher the stump, the deeper in the winter they were felled. The prisoners also built many of the original buildings in the town, constructed mainly from corrugated iron. The train engines today are steam engines powered by diesel and one came from the UK. The carriages were quite cramped but we enjoyed our hour or so ambling through the Tierra Del Fuego National Park. The only animals we saw were some feral horses who apparently are not supposed to be there but wander around as they were left behind to fend for themselves when a consortium bought over a ranch but then did nothing with their investment, nor the horses. We saw a few birds but nothing very interesting and on checking with Robin, they didn’t spot much either, a few sparrows and other small birds. 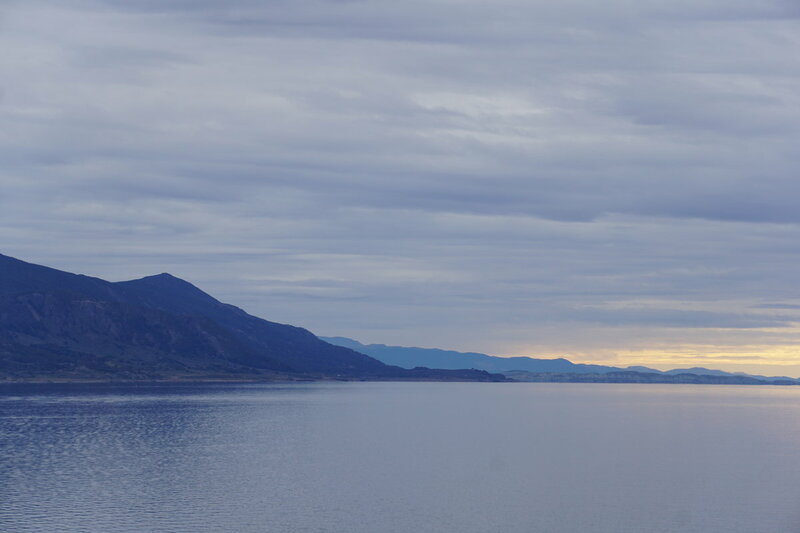 We had a short stop at Ensenada Bay looking across at the Chilean Andes on the other side of the Beagle Channel. There is a post office there and you can mail cards etc if you so chose. Our included tour today was an hour and a half drive around the city - we did two stops, one at the airport to admire the view and another at the prison museum which we did not go into. They padded it out quite well but really there is not much to see here. The beauty that surrounds this place is what you come here for. For those who chose to do flight-seeing today, they had the perfect day with sunny blue skies and the views must have been quite spectacular from up high. Today they have the local dignitaries on board for a plaque exchange and have also invited the officers of the HAL Prinsendam (one of our neighbours today) as the Prinsendam was one of the original Royal Viking Ships. Our other neighbours are Le Lyrial of Ponant, and the Stella Australis, both of which are heading to the Antarctic. 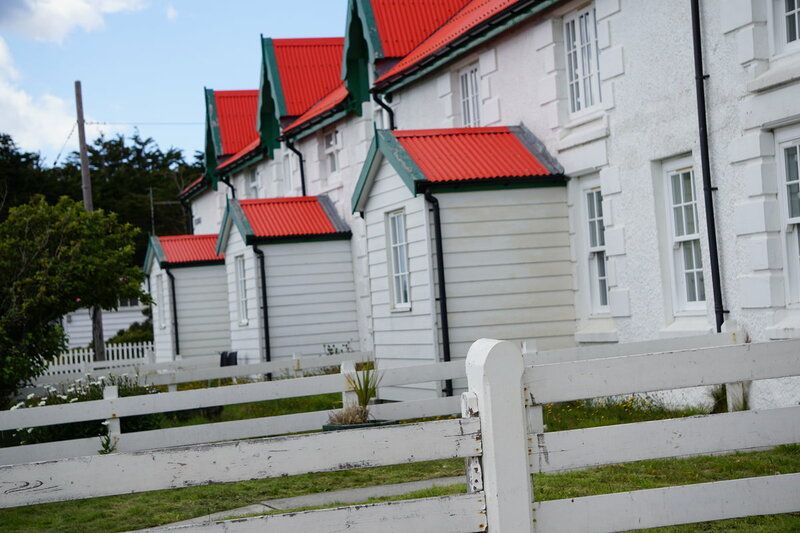 I think someone asked about private excursions here in Ushuaia, which are not easy to find online - there are several tour operator huts/cabins just outside the port gates, and had we known this in advance, we may not have forked out for the ship’s excursions. Today, we have been on board for one week and only yesterday discovered the delicious apple crumble muffins! Perfect with a cup of tea when you come back from an excursion and sit and people watch (always an interesting activity!) in the Living Room. We had dinner the other night in Manfredi’s which was delicious - we had not been too keen on Manfredi’s on our last voyage but decided to try again and this time, they got it absolutely right! The included wines have been good with some local offerings and the wine stewards knowledgeable, so I am happy with suggestions they make. We have the SSBP and the DW is happy to have the odd glass or two of Prosecco! 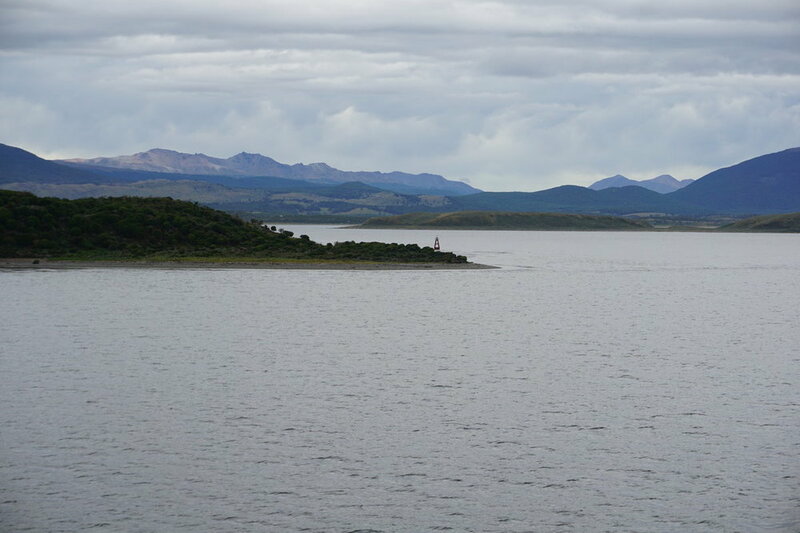 We are just about to set sail for Cape Horn (arrival around 0800 tomorrow morning) and then onto Punta Arenas. 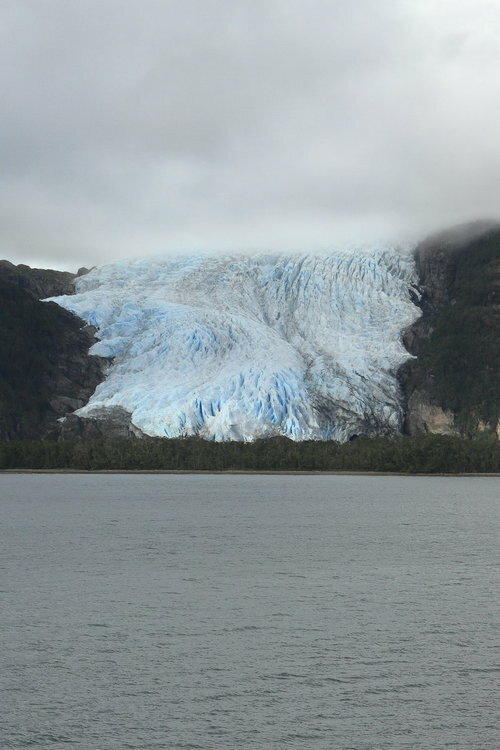 That’s our next 2 days at sea and then scenic cruising the Chilean Fjords. 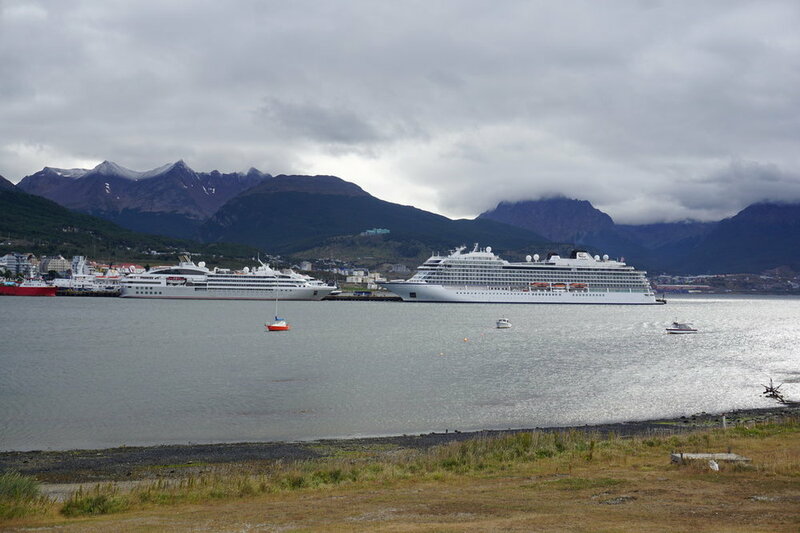 So we bid farewell to Ushuaia. 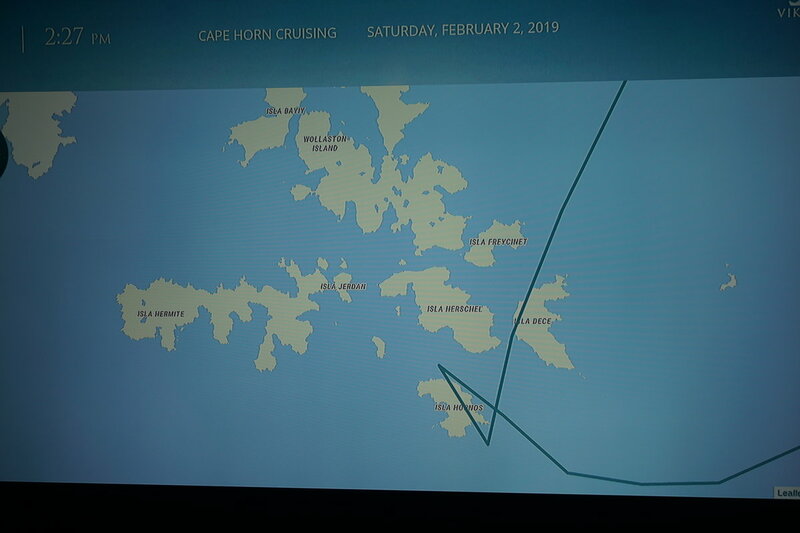 Captain Lars just came on to say we are delayed on our departure due to winds here and then we are calling at Port Williams for a short technical stop. We will be heading out of port all by ourselves as there are no tug boats here. Forecasting 2-4 meters swells, 12-14 ft of waves down there, with winds around 35-40 knots. Ah well, time for another old-fashioned! It is a hard life. 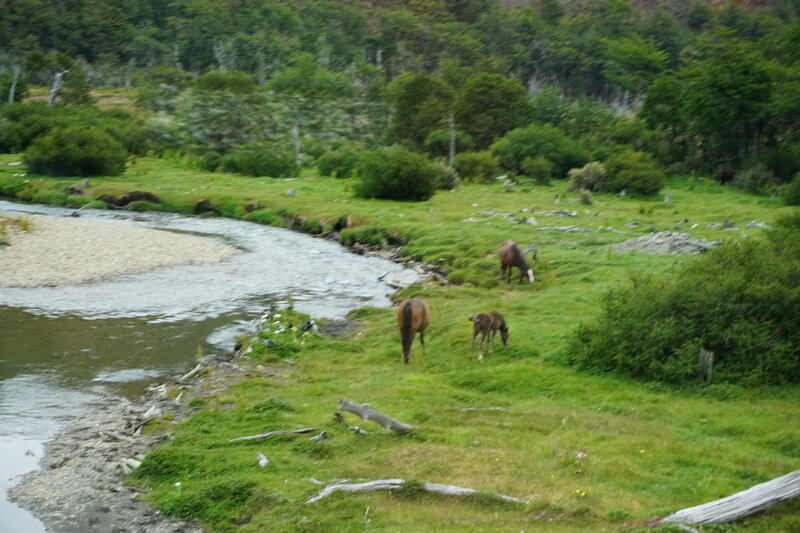 The feral horses with the sweetest foal, our beautiful Viking Sun nose to nose with Teeny Ponant, and the snow capped Andes towering over Ushuaia. Well done, Segmenter! Keep ‘em coming! Segmenter, I agree, wonderful post, please keep it up! I feel for those feral horses--that will I suspect end badly some day. 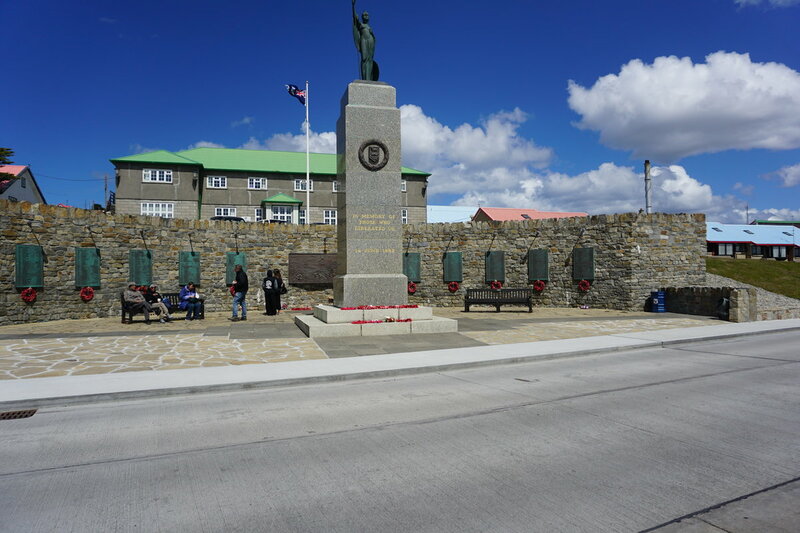 We are just leaving Ushuaia with a loud serenade of ships' horns and I was "asked" if I had posted some photos from the Falklands. No I replied, well maybe you should, said DW. 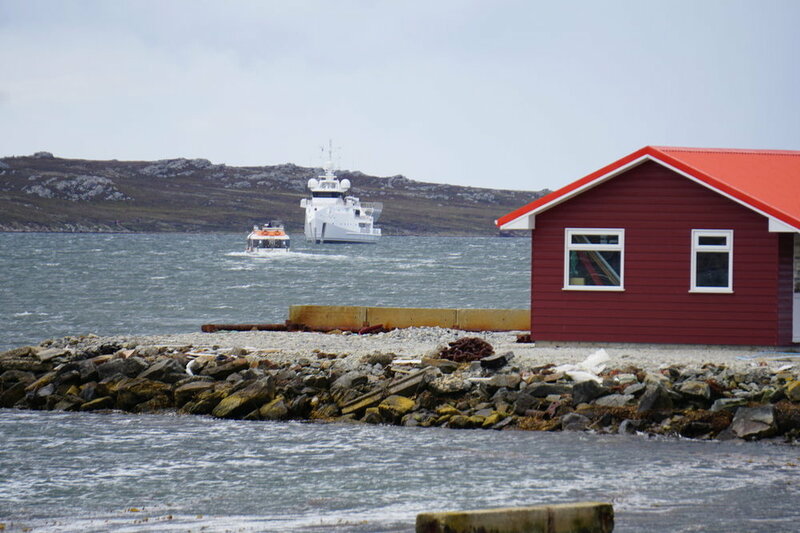 A rather fancy antarctic going yacht in the background in the relatively sheltered bay of Port Stanley; a row of colourful houses; the preferred mode of transport around here with the Falklands Islands Crest; a peek inside the actual antarctic hut, now in the Falklands Museum, which was used as a base for exploration back in the day; and a poignant reminder. We saw today the memorial to the more than 600 young men (mainly 18 yr old conscripts) of the Argentine army who died in the conflict. Sad. Great photos SFTB, glad this "one" could help you out...feel free to gift him a silver spirits package on his upcoming Transatlantic...the picture of the lemon drop that your DW just emailed me saying it was bought on my behalf doesn't cut it! Thank you Segmenter! Your reports and photos make me feel so envious, but my turn (segment) will come. Look forward to hearing more of your voyage, if you have time. Today “we” were awoken early and for once I am not to blame but Captain Lars who came on to tell us we were approaching Cape Horn and hoped that we were all up and enjoying the view. Sadly we were denied a clear view as the islands were somewhat shrouded in fog. This did mean, however, that the seas were relatively calm and although we would have liked a clearer view that would have meant the wind clearing the fog and we all know more wind means rougher seas. Anyway, we hot footed it upstairs and I popped along to the Explorer’s Lounge but could not see further than Mamsen’s for the standing crowd. I doubt they were seeing much either. So advising DW that we should head back to the WCafe, where it was relatively calm and we had our breakfast and watched for a glimmer of the promised land. 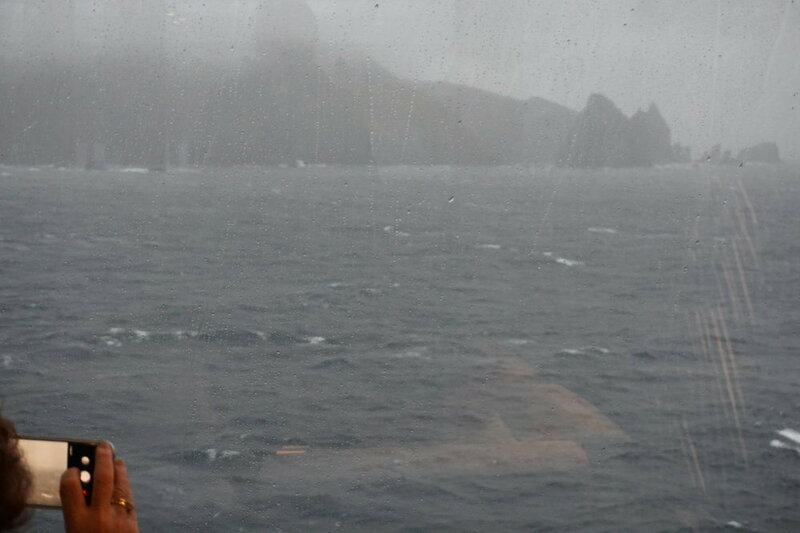 It peeked out every now and then but despite the lack of a clear view we can say we safely rounded Cape Horn as Captain Lars did a full circumference of the Isla Hornos. I did brave the cold and windy outdoors to snap a few photos but none of them are brilliant but they do brilliantly show what conditions can be like here and of course they can be a whole lot worse. We were lucky to have this opportunity, however, it will remain shrouded in mystery, much as it has for other explorers over centuries past. 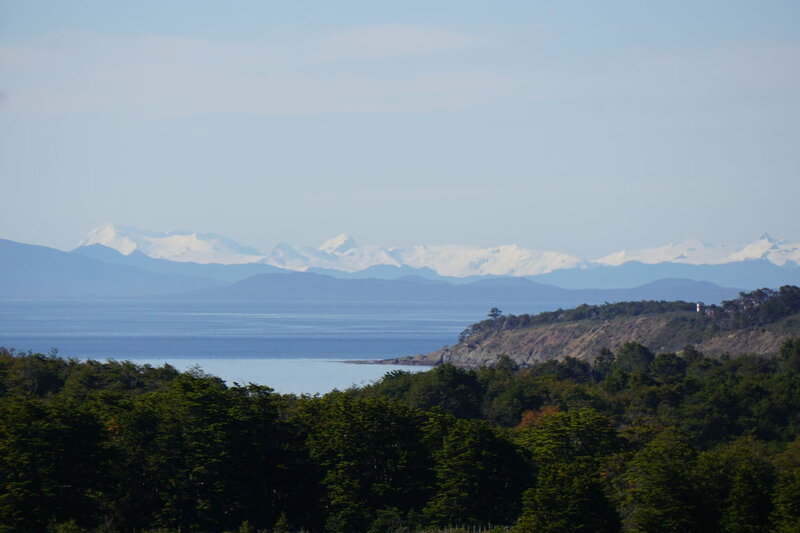 We are now sailing back up the Beagle Channel towards Ushuaia and the day has turned into a sunny afternoon (I thought I would never have to type that name again!) and we are enjoying the calm and peace on our balcony watching the never ending stunning scenery. We have spotted a few fins and some penguins on an islet in the near distance. The DW spotted some creature which we think may have either been small dolphins or large fish fleeing like the warmer water flying fish do from under the ship. Yesterday evening we had the delight of seeing a mother humpback whale with her calf do a turn or two for us, just after we left Port Williams. Our stop there was due to the fact we were crossing into Chilean waters so we hove to for a bit while some paper work was done and then off we sailed again. We were followed by the teeny Ponant ship, Le Lyrial. 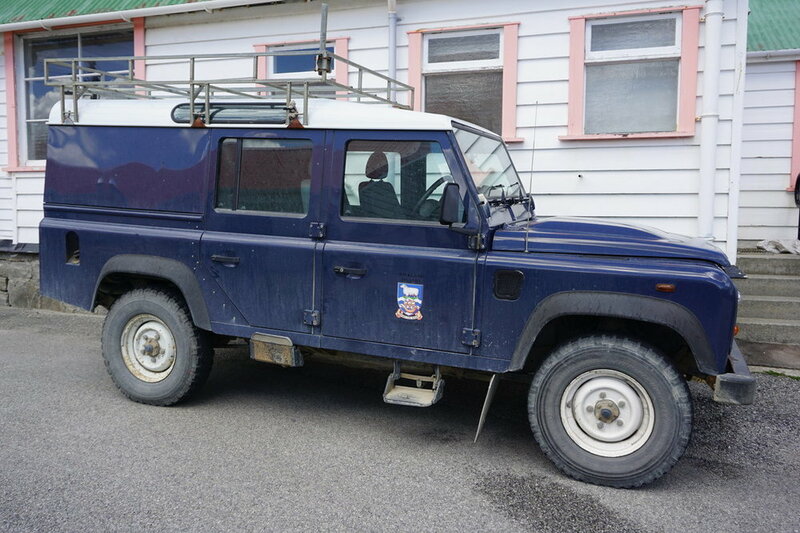 We are now heading to Punta Arenas and will arrive there earlier than expected, tomorrow afternoon around 4pm and will overnight with a full day there on Monday. We are yet to find out why. Not that it really matters of course. Last night we had the rare sighting of the white long haired Robin, dashing as never seen before along the outside deck of the WCafe much to the amusement of all those sitting inside - apparently he too was excited to see the mother and calf, his dinner was to wait. Robin and his wife Chris (they are the naturalists on board) are so enthusiastic about everything and are around and about happy to chat with everyone. We met them on last year’s Viking Sky transatlantic and their enthusiasm has not abated. They will be on the ship till Durban, South Africa. 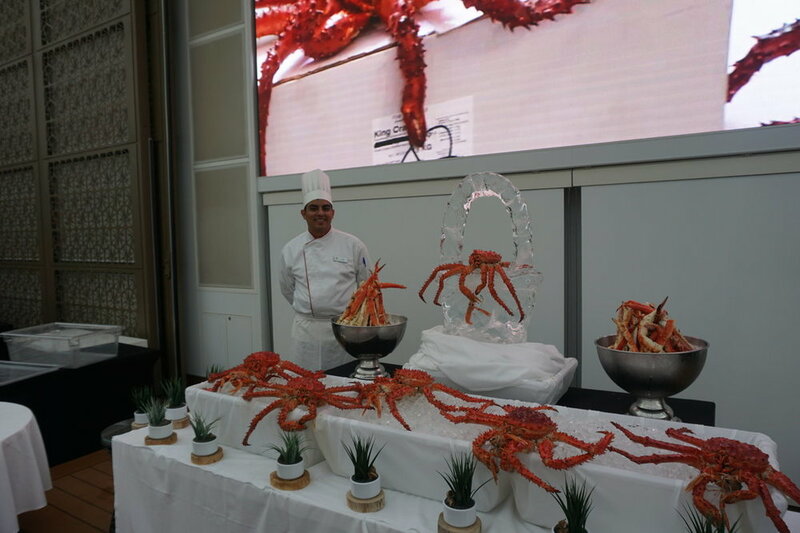 This lunchtime we had a beautiful display of King Crab on the Pool Deck which the chef had brought on board in Ushuaia - it was spectacular and as delicious. It is a hard life. The ethereal Isla Hortos; the Beagle Channel; more stunning mountains on the Argentine side of the Beagle Channel; around the Horn (yup the map is a bit crazy but you get the idea where we went - anti-clockwise around the Isla Hortos); King crab display and them delicious apple crumble muffins along with other morsels of sheer delight (Living Room Deck One). HAHA! Next time you come visit, she promises you a double helping of pies from Harry Gow's! Thank you Segmentersfloatttheboat for your wonderful narratives and pictures. You chose a great segment and are making me feel a bit nostalgic for the trip we took a year ago! You will love the Chilean fjords and glaciers and I hope you enjoy Punta Arenas as much as we did. We were there on a Sunday and just walked to the park and watched all the happenings there. Have a great rest of your trip! Sorry our segments don't coincide. Thank you Segmentersfloatttheboat from me as well. Segmenters float the boat. I too love your posts. Both your photos and writing style. Thank you. 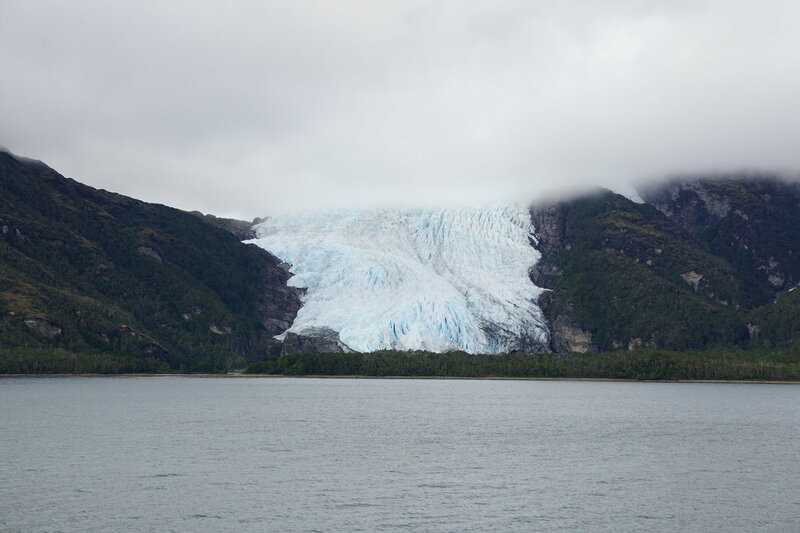 Today we are sailing through the beautiful Chilean fjords. To say we have breathtakingly beautiful vistas would surely be quite the understatement. We enjoyed breakfast in our stateroom and it is sunny and warm enough to be eating on the balcony. Our breakfast arrived as ordered and was hot and fresh. 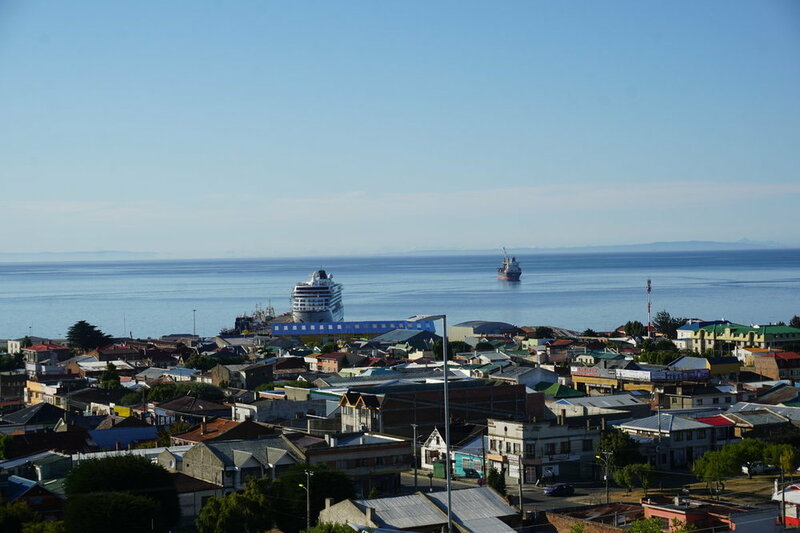 We arrived in Punta Arenas on Sunday in the late afternoon and although some went and explored we could see most returning shortly thereafter as not much was open as it was a Sunday. We still have to discover why we arrived there early with an overnight, but it could have been that they had so many taking the included excursion (17 groups) starting at 0815 and with all the optional tours leaving shortly thereafter, that arriving on the original schedule of 0800 may not have given sufficient time for clearance and to get the tours under way and then leave as planned. It was a beautiful sunny evening, a real change from the morning when we were up close and personal with a freezer full of glaciers - Captain Lars dropped a tender into the water and the sailors on board were instructed to bring him some glacier ice. It was displayed on the pool deck that evening but I didn't see it amidst the crowds watching the Super Bowl, or maybe it was for his GnT. 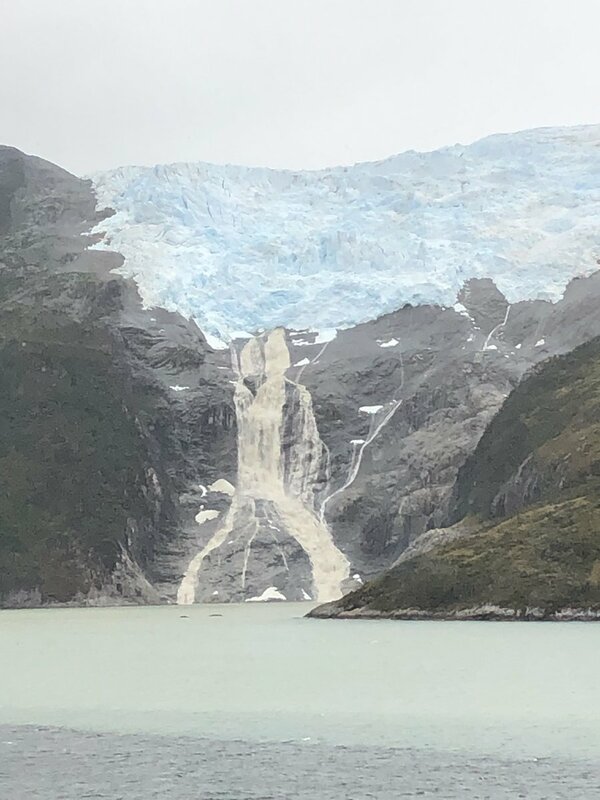 We left on our optional tour to visit the Strait of Magellan Park at 0845 which saw us boarding a brand new coach but sadly the driver could not work out the air-conditioning and we almost melted on the way back with temps reaching 38C on the coach! It was an unusually warm day with temperatures outside the "moving oven" in the high 20’sC. With little to no wind, again unusual, temperatures stayed a tad on the high side making my DW head for shade whenever possible. Our guide was a very knowledgeable chap who was actually an English teacher at a higher education facility and taught English to students, who were not taking English as a subject, but learning English to help them with their future careers. He comes to Punta Arenas in January and February to guide and as he said “I then don’t have to worry about my bills in March!” His main interest was history and we benefitted from that with a very interesting commentary of the history of the area while we drove the 50 kms or so to the Strait of Magellan park which is located on a narrow and rocky peninsula named Santa Ana Point. It was clear he had not just done the “read, remember and repeat” version some guides use! On the way we stopped at the “Half of Chile” geographic milestone which obviously told us we were standing at the very centre of Chile. It looked on the map on the monument as if we were standing on the very top of the Chilean curl at the very bottom of the country, but, as our guide explained, Chile goes a lot further down into the Antarctic. We continued our journey and started climbing up through the woods, off the tarred main road and onto a winding gravel road through The Wooden Towers gate, the entrance to the Park and through which we just managed to squeeze, and on to visit Fort Bulnes. They have recently built a new museum simply called “Museum of the Strait” which explains more about the history of the settlers along this coast and being perched up high, its viewing deck gave us the most spectacular view across the Magellan Strait to the snow covered Darwin mountain and range and back up the coast to Punta Anas. Architects amongst us would have admired the construction of this building and recall where other museum designers have perched their visions over stretches of water. They also sell the most delicious freshly ground Chilean coffee which of course I tried. It is a mere 2kms distance from the museum to the fort but currently they are advising not to walk as there have been two pumas spotted around. I imagine yesterday they were seeking shade like the rest of us, but we still would not have fancied our chances with a puma, no matter how cute they look in photos. The wooden houses of Fort Bulnes have been recreated to provide visitors with a glimpse of what life would have been like for the early settlers in the mid1800s — it would have been a hard life indeed with very poor soil so no chance of growing anything, freezing cold temperatures and snow to deal with for many months of the year, so many died from starvation and disease. 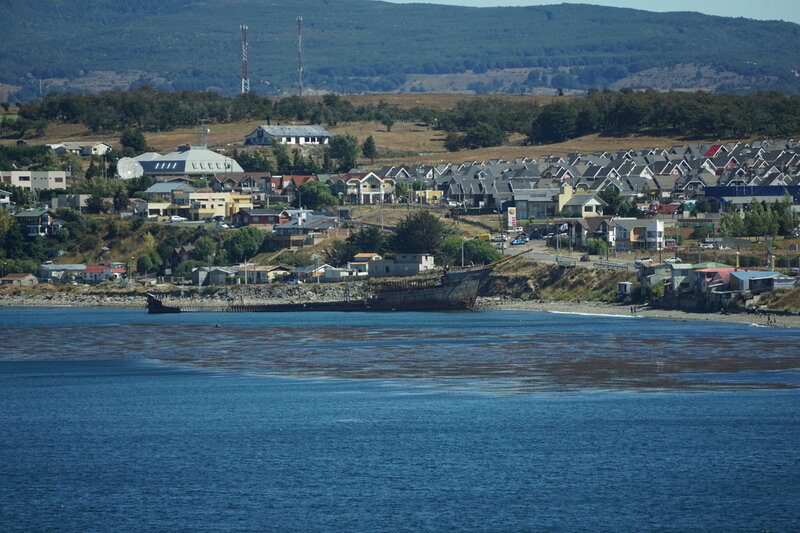 This was the first area to be settled and eventually led to the establishment of the city of Punta Arenas. The Magellan Strait which was originally named Strait of All Saints as it was discovered on the 1st November 1520 (All Saints Day) and as you all know was discovered by Ferdinand Magellan’s expedition and his attempt of an around the world voyage. So we indeed have something in common with him - not us segmenters but the guests on this Around the World in 128 Days voyage. It took the Magellan expedition somewhat longer - 3 years I believe but without Magellan. (It was also named the Patagonian Strait and the Victoria Strait after the first ship of Magellan’s fleet which entered the Strait). He sadly never knew the strait was renamed for him by the King of Spain after his untimely death in a battle in the Philippines. As promised by naturalist Robin, this stretch of water would give us delightful shows of whales, dolphins or are they porpoises? Our guide told us we would see dolphins playing in the waters, which we did, but you have to watch closely as they tease you with their flirtatious jumps and then they are gone! The sail away provided us with many of these little teasers and then we saw many “blows” and then the shadow of a black back or was it a fin, or was it one of the cormorants skimming into the water and diving for their supper. Sadly for us none of these magnificent creatures decided to breech for us. 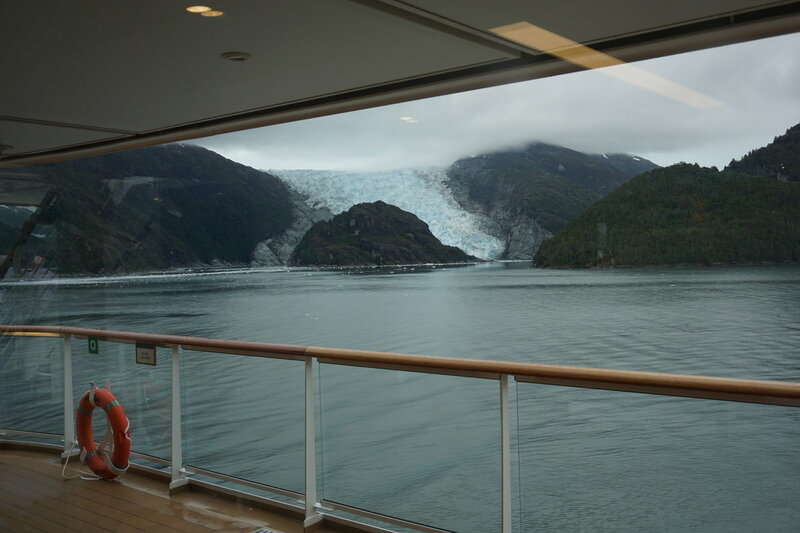 Anyway, we sat for hours last night on our balcony in the warm setting sun as we sailed down the Magellan Strait and picked out where our "moving oven" had taken us earlier that day. Darkness only came about 10pm. I feel I have the start of a cold and the DW has been giving me hot toddies, made with whisky. She was asked by the bartender which whisky she would like in the toddy - the cheapest stuff, the Scottish DW replied, there is no point in wasting the good stuff in a toddy! So I am being force fed these as there is the danger she says of this turning into something called “Man Flu” and apparently as all wives will testify this is something which turns all us men into alleged total wingeing pains in the wotsits! The DW met another lady in the lift coming back with said hot toddy and this lady remarked that it looked quite delicious. On being told what it was for, apparently great sympathy was exchanged. I can’t quite work out why. 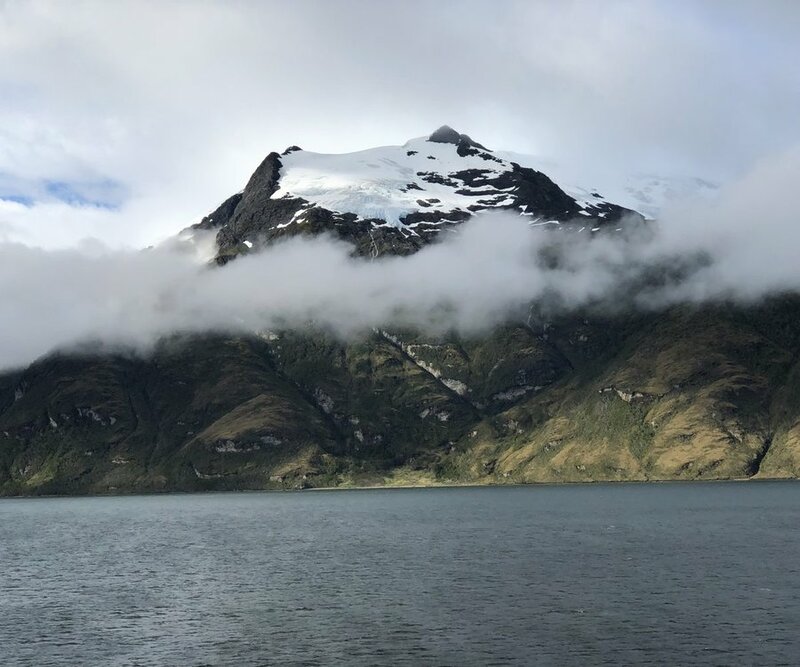 As I sit nursing this latest toddy, we are gliding through the calm waters of the fjords - the sun is glinting on the water and we strain our eyes to catch a glimpse of anything which may choose to tease us just a little. We will sit and watch and enjoy the peace and quiet of our surroundings. It is a hard life. Punta Arenas; Our home away from home sitting in the dock of the bay; The snowcapped Darwin range; not what we expected to see, but they were obviously having great fun; a beautiful glacier from our Sunday sailings; another Sunday glacial view and finally the glacier with the ice floats. About the Super Bowl - It is football Jim, but not as we know it. Viking are masters at creating the atmosphere for live events on board and this was no exception. Thankfully for those super bowl fans, and there were many on board, the game was shown live on the big screen on the pool deck. You could also watch it in your stateroom but I imagine part or even most of the fun is being there with the crowd. 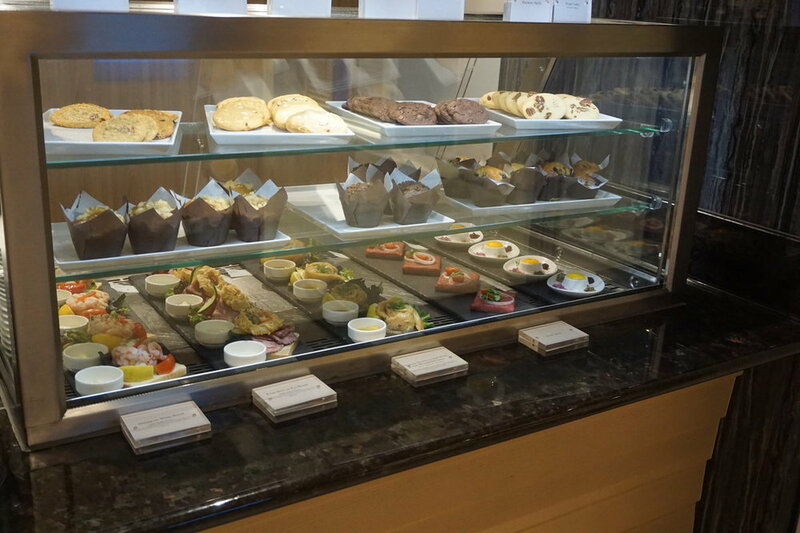 There were hamburgers, sandwiches (BLTs, all sorts), cheese smothered hot dogs, fries, nachos, a veritable smorgasbord of desserts, you name it, it was there served from the Pool Grill area - and this was all in addition to the World Cafe and Restaurant offerings that evening. It all kicked off, pun intended, around 8pm and was in full throttle when we wandered through shortly thereafter with the crowd stretching all the way back through the Wintergarden. 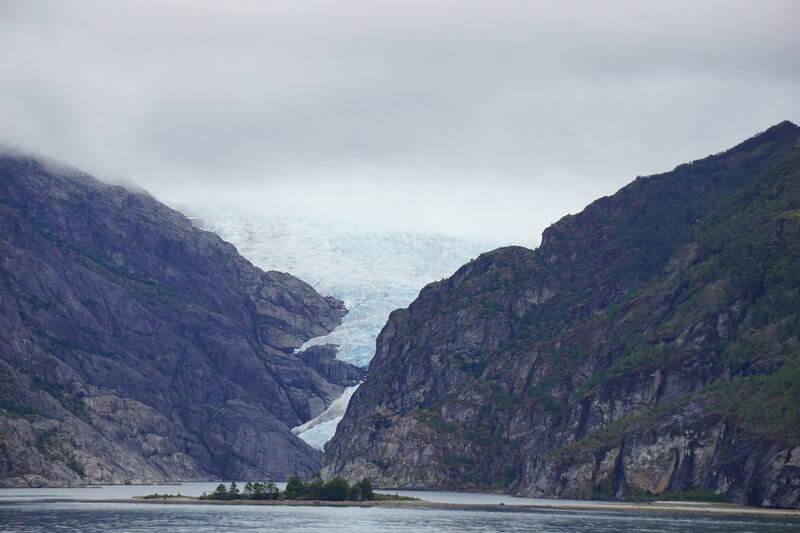 I am wondering if any of you can compare the Chilean fjords , those in Norway and Alaska's inland waterway? 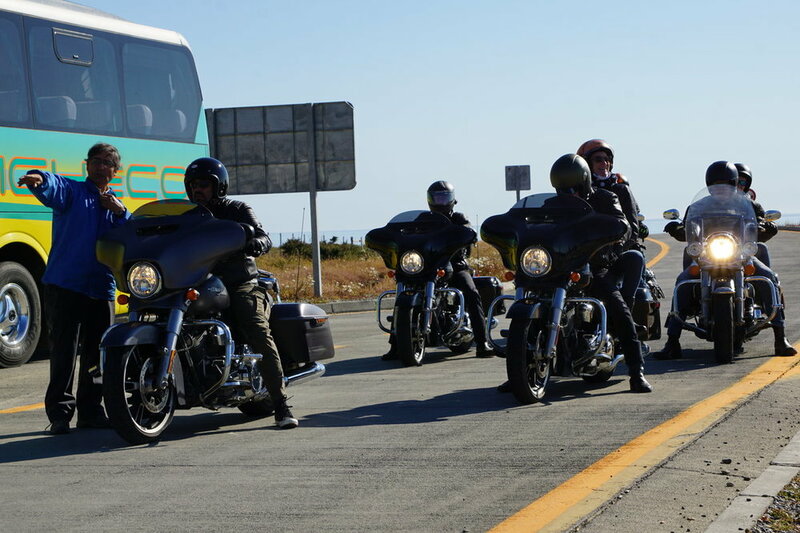 Thanks for these pictures...Santa Fe1...I think you have just helped make up our mind which VO we will book next!! !